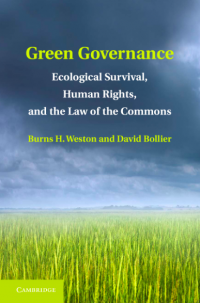 Commoning is often seen as a way to challenge an oppressive, extractive neoliberal order by developing more humane and ecological ways of meeting needs. It offers many promising, practical solutions to the problems of our time – economic growth, inequality, precarious work, migration, climate change, the failures of representative democracy, bureaucracy. However, as various commons grow and become more consequential, their problematic status with respect to the state is becoming a serious issue. Stated baldly, the very idea of the nation-state seems to conflict with the concept of the commons. Commons-based solutions are often criminalized or marginalized because they implicitly challenge the prevailing terms of national sovereignty and western legal norms, not to mention neoliberal capitalism as a system of power. To address these and other related questions, the Commons Strategies Group in cooperation with the Heinrich Böll Foundation convened a diverse group of twenty commons-oriented activists, academics, policy experts and project leaders for three days in Lehnin, Germany, outside of Berlin, from February 28 to March 1, 2016. The goal was to host an open, exploratory discussion about re-imagining the state in a commons-centric world – and, if possible, to come up with creative action initiatives to advance a new vision. Participants addressed such questions as: Can commons and the state fruitfully co-exist – and if so, how? Can commoners re-imagine “the state” from a commons perspective so that its powers could be used to affirmatively support commoning and a post-capitalist, post-growth means of provisioning and governance? Can “seeing like a state,” as famously described by political scientist James C. Scott, be combined with “seeing like a commoner” and its ways of knowing, living and being? What might such a hybrid look like? Silke Helfrich prepared a framing paper synthesizing some of the relevant scholarship that theorizes the state. Her paper introduced key issues that arise when we begin to talk about “the state.” One of the first insights is that “a theoretically valid general definition of the state” is not really possible. “The state appears as a complex institutional system that solidifies power relationships in society, and potentially has the capacity to shift them,” writes Helfrich. “Thus it is not ‘the state’ as such that acts, but in each case specific groups with concrete interests and positions of power act.” These groups and interests will, of course, vary immensely from one instance to another. State power introduces distinct principles of order that shape how we experience and understand the world, said Helfrich. In modern states, human society tends to be separated between the private and public spheres, with the state asserting control over the latter. State power also separates the worlds of production and reproduction and tends to give them a binary gender association (males involved in production/work, women with reproduction/family). Finally, state power separates public life into “the economy” and politics, casting the “free market” as natural and normative and politics as the realm for subjective disagreement and (presumptively illegitimate) social intervention. No state rules and institutions are permanent or a priori; they are always the result of societal struggle and debate. So a state is less a subject or entity in itself than an ongoing expression of political power (state power) that expresses a culturally determined web of changing social relationships, writes Helfrich. In this sense, one might say that “The State” does not really exist as a thing because state and statehood must constantly be re/produced. For this reason, Professor Bob Jessop, a workshop participant and Distinguished Professor of Sociology at the University of Lancaster in the UK, suggested that it is more useful to talk about state power than “the state,” and about commoning than “the commons.” This shift in vocabulary helps underscore the fact that “the state” is constituted by dynamic social and power relationships, and helps us avoid reifying “the state” and “commons” as fixed, concrete entities. It is clear that the state is an instrument of social and power relation and that state power is a jealous, self-perpetuating force. It is an enabling mechanism for certain factions, especially capital and business, to further their interests. What does this mean for commoners who seek to use commoning to develop a better world, one of greater ecological responsibility, social and gender justice, and personal security? How might commoners use the state to advance their interests and freedom? It bears emphasizing that the recurring patterns of state power play out in different ways around the world. State power among the agrarian states of Africa, for example, expresses itself in very different ways than in it does in Latin America, Europe or the United States. This stems largely from basic geographical and resource differences among nations, but also from the diverse policies, cultures and social norms for blending state power and markets. The most salient variations in state power include: Authoritarian and neoliberal state power in Latin America; the agrarian states of Africa; fiscal austerity, enclosures and the crisis of the European Union; and the United States and its aggressive role in promoting the neoliberal state. A recurring subject of the Deep Dive was how commoning might serve as a counterforce to check state power and possibly reconfigure it. “What are we going to do with the state?” asked Pablo Solón, former Ambassador of the Plurinational State of Bolivia to the United Nations. Clearly one of the first goals in modifying state power would be to decriminalize and legalize acts of commoning; this would at least open up new spaces for alternatives to neoliberalism to emerge. A longer term goal would be to use state power to creatively support commoning and the value(s) that it generates. This entire terrain is treacherous and tricky for the reasons illustrated by the left’s takeover of the Bolivian state: power tends to change those who begin to wield it, and states tend to be more responsive to other nation-states than to their own people. In the end, there is also a question about whether the state and conventional law have the capacity to assist commoning. Can large, impersonally administered systems of the nation-state actually foster commons-based governance and human-scale commoning? 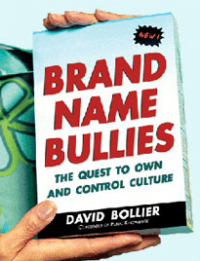 Is it possible to alter conventional bureaucracies to recognize and support commoning? Tomislav Tomašsevićof the Institute for Political Ecology in Croatia noted that “the state is a playing field for different types of actors,” with commoners one among many others. So it is logical for commons movements and players to try to re-appropriate and redefine the state, to change the power relationships. This task then needs to go transnational, he said: “Once you manage to redefine the state, how can this be done in other states? How to scale up commons-based society to other countries? How to go global, and not just local? 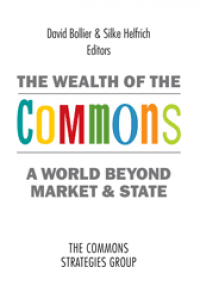 What notions of universality are needed to govern the commons through the state? The commons movement cannot ignore this challenge,” said Tomašsević, if only because the ‘crisis’ of the state is going to persist unless we re-imagine the state and statehood. The group identified three basic questions of state power and commoning that must be addressed in transforming state power: What is preventing commoning within the context of the state? What do we want to change to enable commoning to exist and expand? How are states and governments standing in the way of commoning today? Commoners must develop a compelling vision that incorporates a structural analysis, strategy and tactics into one integrated package – but with political questions as our point of entry. Commoners must also clarify their relationships with those on the political left; clarify their notion of citizenship and thus how commoners should relate to the state; and reinvent law to decriminalize and support commoning. 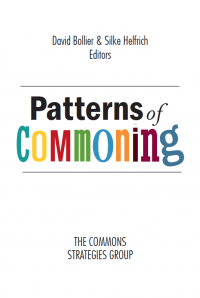 All of this should be based on the idea of the commons as “an important form of transpersonal rationality and coordination,” said Silke Helfrich of the Commons Strategies Group. 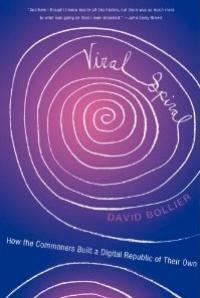 “The commons must be understood as a new category that describes the individual-in-relation-with-others. The preceding discussions – about the nature of state power, its variations among different nation-states, and the nature of commons and commoning – lead us to the central question of this Deep Dive: How can state power be re-imagined and altered in ways that support commoning? What are the strategies for the “commonification” of the state? How might a commons-based state work? Silke Helfrich offered a starting point for answering this question: “It may be true that ‘there is no commons without commoning,’ but there can be contributions to a commons without commoning. This is where the state comes in. 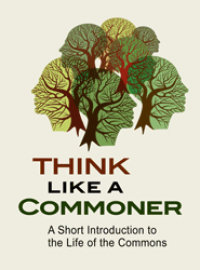 The state can contribute to commons without necessarily participating in commoning. It should also secure the rights of all citizens, not just the rights of commoners and support constructive relations among commons,” said Helfrich. One must immediately distinguish between how a political progressive might imagine the state aiding commons, and how a commoner would. A commoner sees commoning as a way to provide nearly every type of good or service, from hospitals to water systems to social services, said Helfrich. In principle, it provides new ways to empower people and tap into new generative capacities. A liberal, by contrast, may see commoning as a threat to progressive values and the welfare state because commoning could encourage the state to shirk its responsibilities and expenditures. An unresolved issue is how the commons shall relate to the concepts of public services, public goods and the public domain. “The state oversees these functions,” said French economist Benjamin Coriat, and “it has the right to determine access rights or pass on ownership to private companies. But the idea of a common asset introduces the idea that the state cannot privatize the resource or service. It introduces new protections for the commoners because the state is a privatization machine today.” The larger question is how we might “commonify” our understanding of public services and goods. He stressed that the idea of common goods is not simply about “re-municipalization” of assets and services, but about the transformation of public goods into common goods” – a new conceptual category. This creates new rights of protection for commoners. · The right of all members to challenge the assumptions of current rules and practices. Clearly state power and its complicated relations with commons will only grow more important in the future as the advocates of neoliberal policies seek to prevail over resistance and as commoning itself becomes more widespread and stronger. Progress on this topic will necessarily take time and further deliberation among commoners. In the near time, it will be quite instructive to learn how different nations attempt to carve out legally sanctioned commons within their borders, whether it is a “Plan C” in Greece, concrete policies to promote buen vivir in Latin America, court rulings protecting natural resource commons in India, or expansions everywhere of the commons as a parallel, post-capitalist economy. Taking stock of such developments will require region-specific “deeper dives” and new conversations with the traditional left and labor to find some sort of working rapprochement on issues of livelihoods, basic income, public services and economic policy. Can the commons be integrated politically and legally with traditional liberalism and state authority? It may be too early to know what specific steps should be taken, but it seems clear that the crises of our time will not be resolved without serious changes in the topography of state power.